Foam From Above: Nerf Spring 2018 prices and press information! 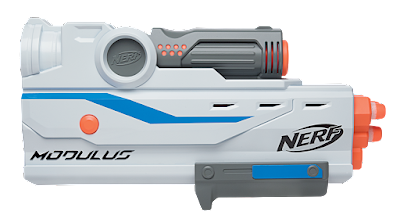 Nerf Spring 2018 prices and press information! 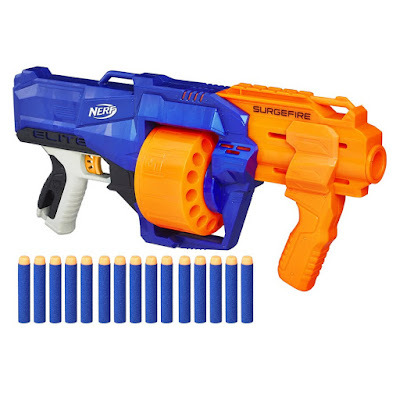 Slam-fire the competition in a sea of foam darts with the NERF N-STRIKE ELITE SURGEFIRE blaster! With a rotating drum that holds up to 15 darts, this blaster has both slam-fire and pump action blasting. Fans can choose a target and blast one dart at a time, or slam-fire all 15 darts to pour on the firepower. Package includes blaster and 15 Elite darts. Available at most major toy retailers nationwide and HasbroToyShop.com. 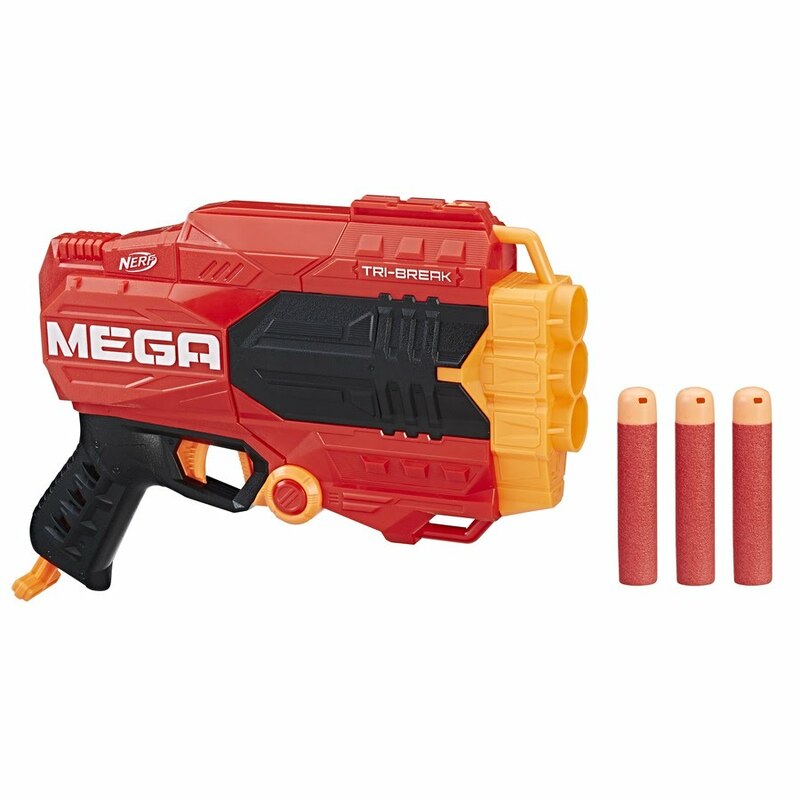 Break into battle with the NERF MEGA TRI-BREAK blaster! 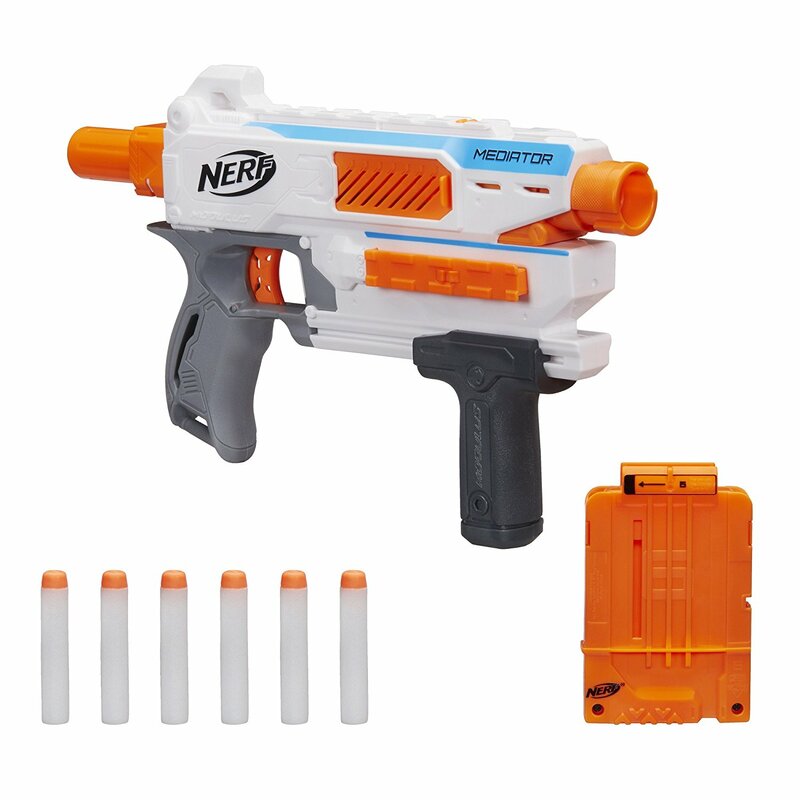 This blaster features a break-open barrel that holds up to three MEGA Whistler darts. Flip open the barrel, load your darts, prime, and unleash MEGA power. Package includes blaster and three MEGA Whistler darts. Available at most major toy retailers nationwide and HasbroToyShop.com. With all the attachments, sold separately. Customization has met its match! The NERF MODULUS MEDIATOR blaster has numerous attachment points for accessories within the MODULUS system which features over 1,000 different combinations. The MEDIATOR offers pump-action and slam-fire blasting so battlers can be ready for anything that comes their way. Slide the clip into the side of the blaster and unleash fire! 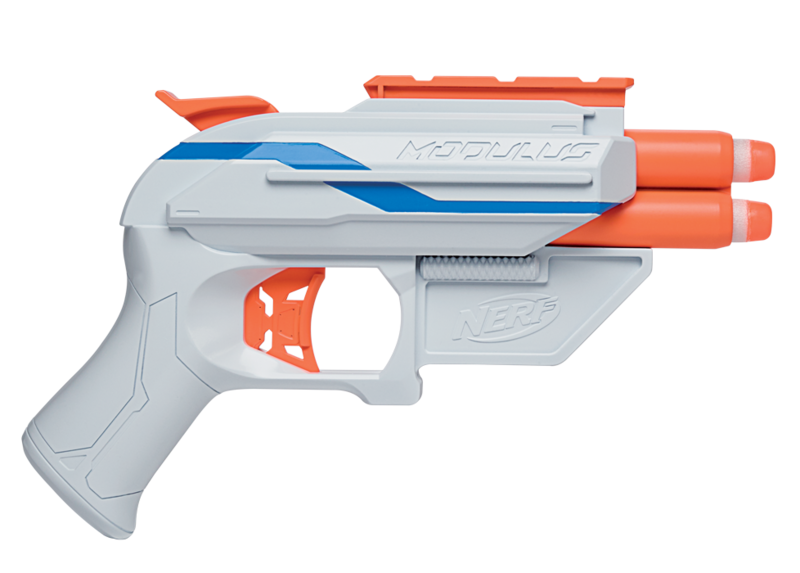 Attach the MEDIATOR barrel and MEDIATOR stock (each sold separately) to create the MEDIATOR XL blaster for ultimate fun. 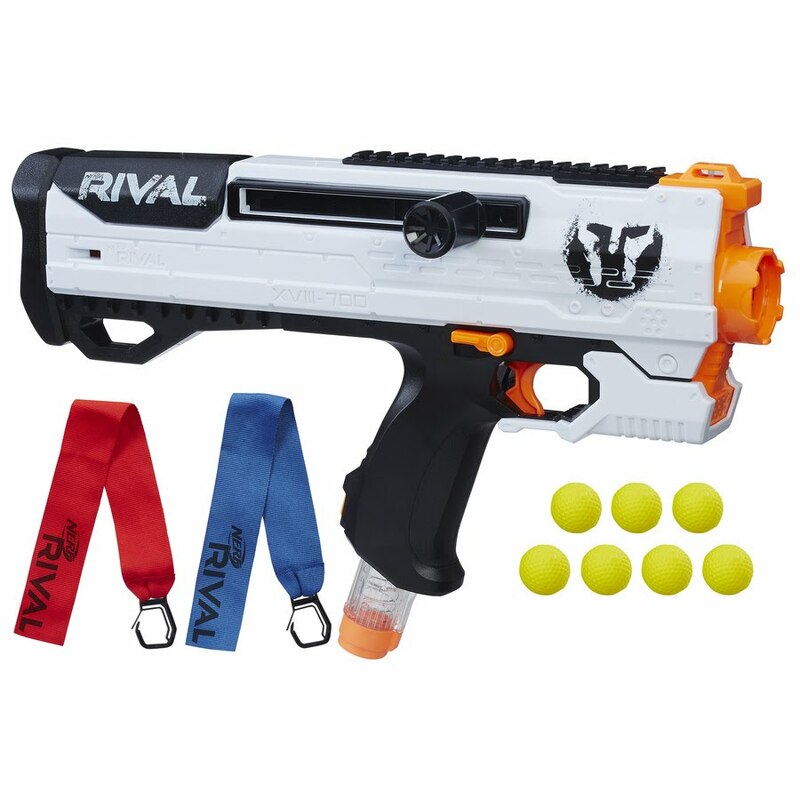 Package includes blaster, clip attachment, 6-dart clip and six Elite darts. Available at most major toy retailers nationwide and HasbroToyShop.com. Not pictured - stock "holster" that the blaster slides into when attached to the back of the Mediator. Upgrade firepower with the MODULUS MEDIATOR stock attachment! Hidden inside the stock is a double-barrel blaster firing one dart at a time with hammer-action blasting power. Dart storage and convenient clip makes the MEDIATOR stock a must for the battlefield. Package includes stock, blaster, and four Elite darts. Available at most major toy retailers nationwide and HasbroToyShop.com. The MODULUS MEDIATOR barrel attachment is an epic upgrade to any battle! Convert the barrel into a blaster featuring pressurized 3-dart blasting power! Flip the handle to switch from barrel to blaster, pump, and fire to release a triple-dart burst. Package includes barrel attachment and three Elite darts. Available at most major toy retailers nationwide and HasbroToyShop.com. The zombies are getting stronger, but so are the survivors battling them. 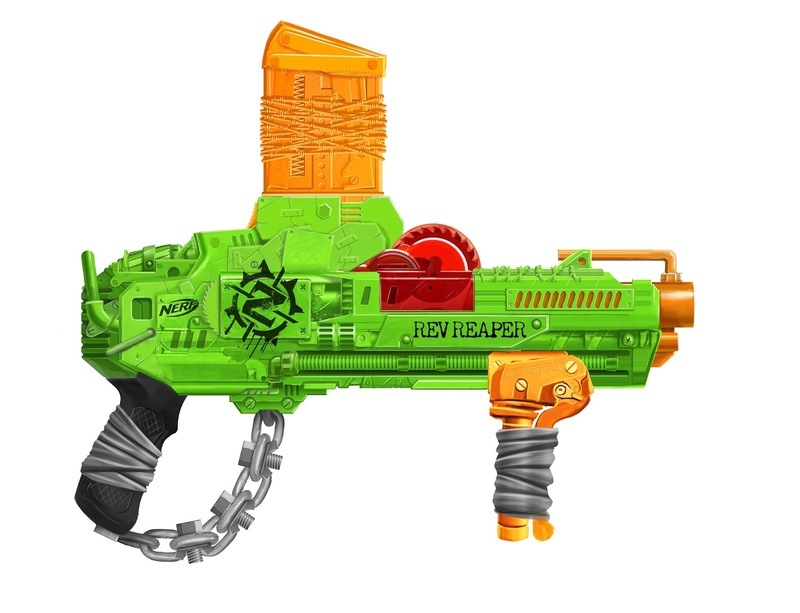 The NERF ZOMBIE STRIKE REVREAPER blaster has no trigger, just pump the handle once to fire a dart at the oncoming zombie herds with ease. With a visible gear mechanism, battlers can watch the gears turn as they launch the darts. The top-loading clip fires 10 ZOMBIE STRIKE darts to keep the zombies at bay. Package includes blaster, 10-dart clip, and 10 ZOMBIE STRIKE darts. Available at most major toy retailers nationwide and HasbroToyShop.com. Rival battle will never be the same now that the RIVAL PHANTOM CORPS line has arrived. 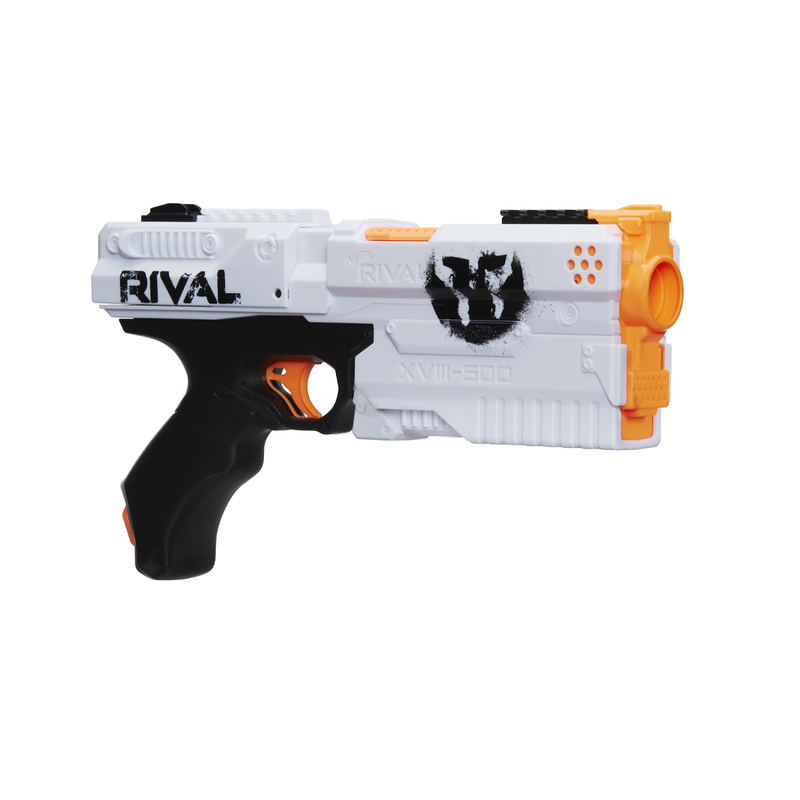 Head into battle as a member of the Phantom Corps team with the RIVAL KRONOS XVIII-500 blster. Open the breach to load five high-impact rounds into the blaster, prime, aim, and fire! This spring-action blaster sends rounds flying at 90 feet per second. Attach a red or blue flag to choose between Team Red, Team Blue, or choose neither to stay with Team Phantom Corps. Package includes blaster, five high-impact rounds, and two team flags. Available at most major toy retailers nationwide and HasbroToyShop.com. Experience the intensity of NERF RIVAL with the HELIOS XVII-700 blaster! Join the Phantom Corps with the HELIOS XVII-700 blaster and its 7-round magazine that sends high-impact rounds flying at 100 feet per second at the opposing team. Slide the bolt and pull the trigger to unleash unrivaled power! Change from the Phantom Corps Team to Team Red or Team Blue with the simple switch of the flag. Package includes blaster, magazine, seven high-impact rounds, and two team flags. Available at most major toy retailers nationwide and HasbroToyShop.com. 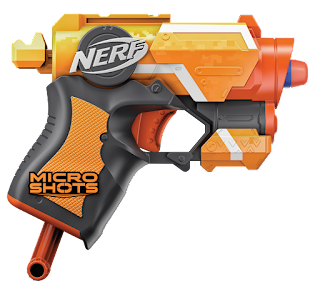 Blast into big fun with the NERF MICROSHOTS SERIES Collectible Assortment! 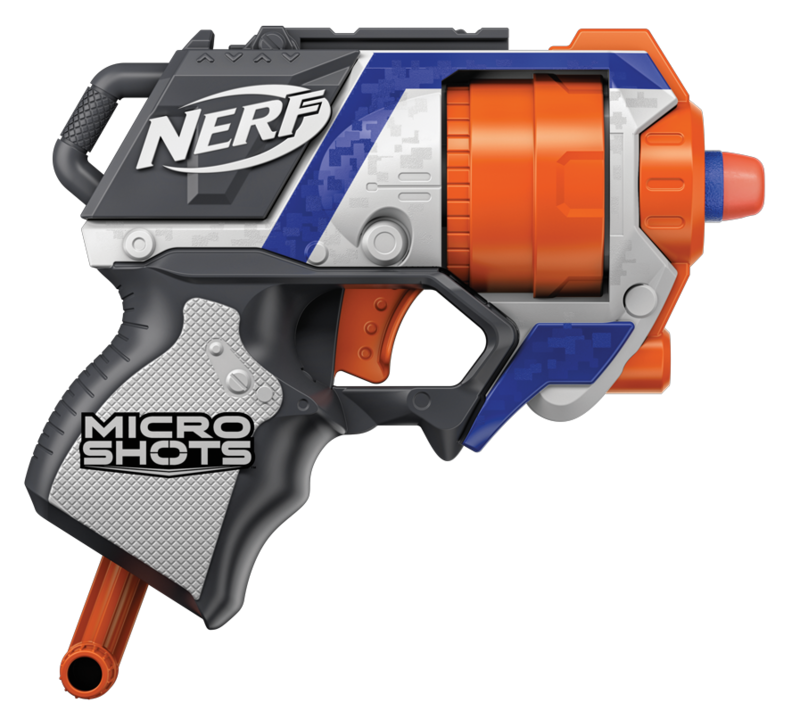 MICROSHOTS blasters capture the iconic look of the original NERF blasters fans know and love, but in a micro, scrunched-down fun style all their own. Simply load, prime, and pull the trigger for big fun in a small package. This one-shot blaster is as fun to collect as it is to blast! 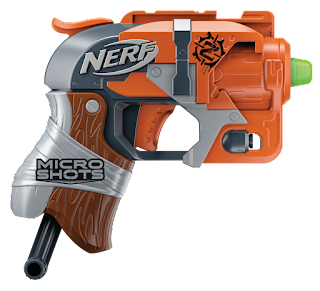 Series includes one micro-sized version of the NERF N-STRIKE ELITE FIRESTRIKE blaster, NERF N-STRIKE ELITE STRONGARM blaster, and ZOMBIE STRIKE HAMMERSHOT blaster. Each package includes one blaster and two Elite darts. Available at most major toy retailers nationwide and HasbroToyShop.com. Big thanks to Nerf for sending this along! Posting this from my phone, so images to follow later. In the meantime, enjoy the pricing information. Not sure how I feel about the Mediator being pieced out separately, but given the pricing Hasbro had last year maybe that is a bit easier for people in the long run?